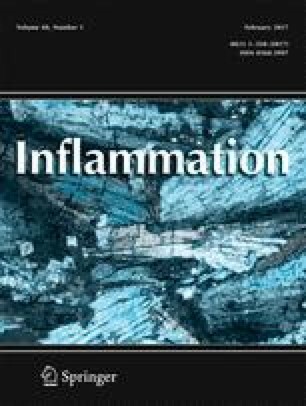 Accumulating evidence shows that immune cells play an important role in carotid atherosclerotic plaque development. In this study, we assessed the association of 6 different natural killer T (NKT) cell subsets, based on CD57 and CD8 expression, with risk for development of carotid atherosclerotic plaque (CAP). Molecular expression by peripheral NKT cells was evaluated in 13 patients with high-risk CAP and control without carotid stenosis (n = 18). High-risk CAP patients, compared with healthy subjects, had less percentage of CD57+CD8− NKT cell subsets (8.64 ± 10.15 versus 19.62 ± 10.8 %; P = 0.01) and CD57+CD8int NKT cell subsets (4.32 ± 3.04 versus 11.87 ± 8.56 %; P = 0.002), with a corresponding increase in the CD57−CD8high NKT cell subsets (33.22 ± 11.87 versus 18.66 ± 13.68 %; P = 0.007). Intracellular cytokine staining showed that CD8+ NKT cell subset was the main cytokine-producing NKT cell. Cytokine production in plasma was measured with Bio-Plex assay. The expression levels of pro-inflammatory mediators (IFN-γ, IL-17, IP-10) were significantly higher in CAP patients as compared to that from controls. These data provide evidence that NKT cell subset compartment reconfiguration in patients with carotid stenosis seems to be associated with the occurrence of carotid atherosclerotic plaque and suggest that both pathogenic and protective NKT cell subsets exist. Lun Cai and Lei Yu contributed equally to this work. This study was supported by the Open Project of Key Laboratory of Ministry of Education (2013XXGB02). The study was approved by the Ethics Committee and written informed consent was obtained from all participants. All experiments were performed in accordance with relevant guidelines and regulations, and the plasma was stored at −80 °C until analysis in the approved biobank.